A rare photo of conscientious objector prisoners at Paparua Prison in about 1918. On the eleventh hour of the eleventh day of the eleventh month, Armistice commemorations will be taking place around the world. As we mark the anniversary of Armistice Day during the First World War centenary period, it is timely to consider more deeply the act of commemoration, and ask ourselves how, why and what we commemorate. To start this conversation, the WW100 Programme Office invited four people with different perspectives to share their thoughts about the way New Zealand commemorates its role in wars and conflicts. Join in the conversation, and share your own thoughts through our comments section below. ‘Our contention is that war is all atrocity. It is the supreme national and international crime. It is the insanity of the age which regards brute force as the deciding power,’ wrote Sarah Saunders Page in 1916. Commemorations of the First World War have tended to focus on the New Zealand Expeditionary Force and the actions of our armed forces serving overseas. Rarely are there commemorations of the peacemakers such as Sarah Page, who opposed compulsory military training before the war, campaigned against conscription and wrote and spoke against militarism. Little is known about the 286 conscientious objectors (known as COs) imprisoned for their beliefs, or the women and peace groups that supported them. Those who spoke out against militarism and the war represented a small but significant minority. History shows that all great social reforms start with a ridiculed small minority (think the abolition of slavery; votes for women; nuclear free New Zealand). The new ‘Voices Against War’ website publicises the Canterbury Pākehā peace movement that started before the First World War. From these small beginnings – echoed throughout the country – grew a stronger peace movement that persisted throughout the Second World War. This continued with the campaign for nuclear disarmament in the 1960s and became mainstream with the nuclear free legislation in 1987. 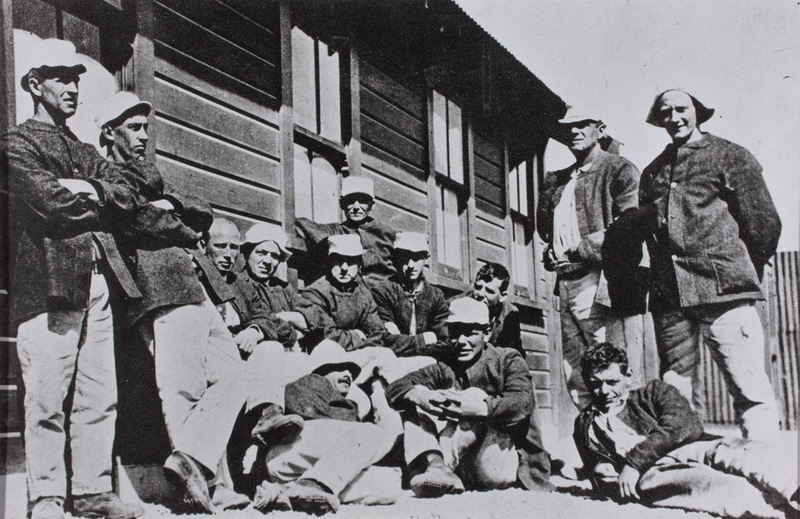 At least 60 Canterbury men were imprisoned in Paparua Prison during the First World War: some of their personal stories, and those of the individuals and groups who supported them, are available on voicesagainstwar.nz. These reveal that conscientious objectors to military service were highly principled, but did not speak with a single voice. Many were Christian, and quoted from the Bible at their hearings. Others cited religious beliefs but did not identify with a particular church. ‘As a Christian, I believe War to be wrong and I think our aim in life is Love, and not Hate and Fear. I cannot find anything in the New Testament which, to my mind, in any way supports War, and I do find much that is against it,’ said graduate student and religious objector, Robin Page. Many, like Reg Williams, recognised that in being sent to battle they would be killing other workers with whom they had no argument. ‘I am an Internationalist, opposed to war, and I shall oppose it as long as I have a tongue in my head’. Others understood that armament and clothing manufacturers prospered while the working class suffered. ‘Wars were fought for the greed of one class and it was for this that all wars were fought. To try and kill men . . . was not only criminal but insane. . . ', said socialist and pacifist, George Samms. In Christchurch the Socialist Party, Labour Party and many trades unionists worked alongside the National Peace Council, Canterbury Women’s Institute and Women’s International League to oppose conscription. 'She was out for the cause of peace . . . and if to believe in the brotherhood of man was to be unpatriotic – well, then, she was unpatriotic’, said Ada Wells, an outspoken peace campaigners. As we commemorate the events of a hundred years ago, let us remember those brave individuals who risked abuse, ostracism, imprisonment, and their livelihoods in order to stand up for their beliefs in the immorality, futility and insanity of war. Their voices are as important today as they have ever been. A rare photo of conscientious objector prisoners at Paparua Prison in about 1918. Fourth from left at the back is George Samms. Robin Page is sitting centre front. All rights reserved Patricia Smith. Sarah S. Page, Honorary Secretary, Canterbury Women’s Institute, 'Reply to the Prime Minister by Canterbury Women's Institute', Maoriland Worker, 17 May, 1916, p.3. Robert Owen Page's defence at his trial by court martial, Robin Page Scrapbook, Page family collection. 'Mr. Reg. Williams Sentenced to a Year's Imprisonment', Maoriland Worker, 31 January 1917, p.4. ‘Court-Martial: Three Charges’, Star, 1 July 1918, p. 5.